Your education institution decides which data we can process, and how we can use it. Inspera will never process data in any other way or for any other purpose than what is agreed with your education institution. The information given below is general, and your education institution may restrict some of the stated uses below. Your institution may for example choose to exclude your name and/or email address from the data that we receive. 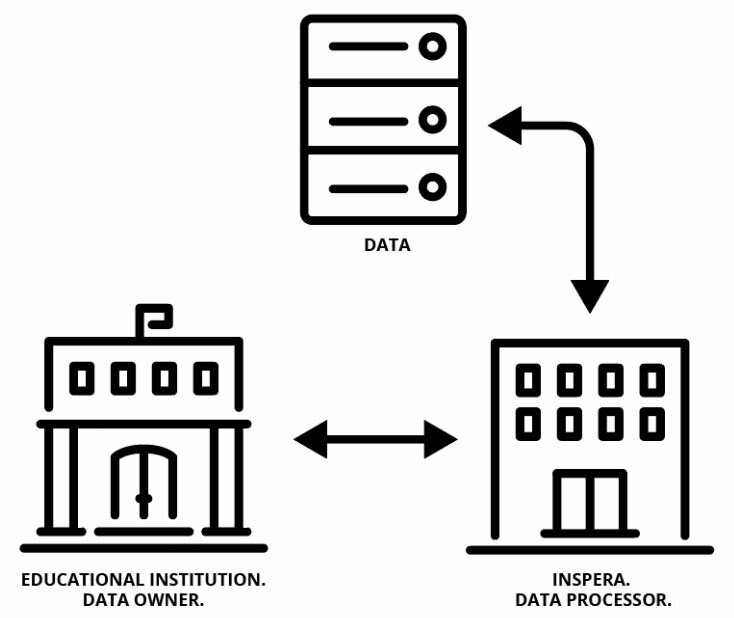 Inspera processes and stores data on behalf of the educational institution. What data do we hold and for what purpose? Inspera uses this data to identify you as a user, and to ensure that data is only viewable by those who have a legitimate reason (and permission) to do so. We use this data to provide the test-taking services for each test taker. Information on answers to questions is also used anonymously to analyse questions and improve learning. Data we collect automatically when you use Inspera Assessment. 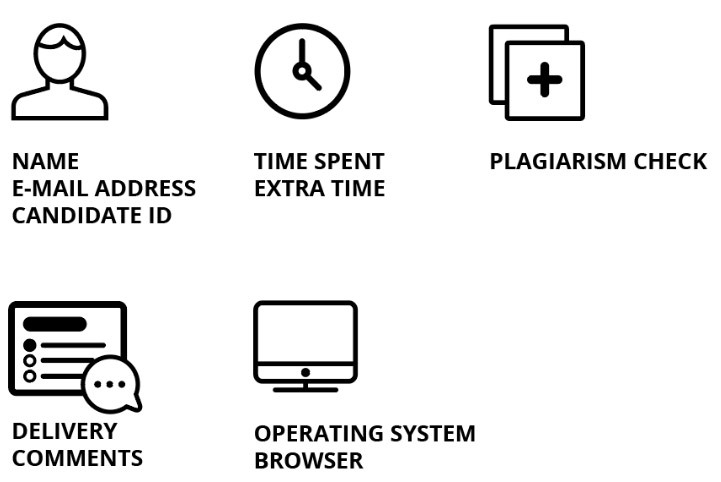 We use this data to make the services work on your device, to aid troubleshooting, and to document user behaviour relevant to the correctness of the exam. We also log user-related events on the system to support and control the workflow. For instance, we log an event if staff members view or alter question sets. Who can access my data in Inspera? 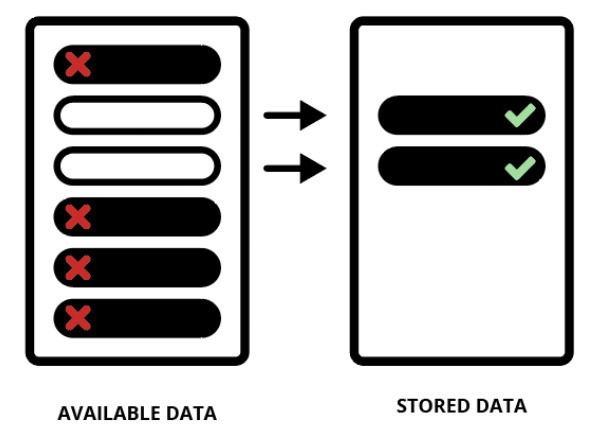 Staff authorised by your institution may see parts of your data, as well as Inspera staff tasked by your institution. Inspera also uses other companies to deliver our service. Inspera is responsible for how third parties process data. One of Inspera’s highest priorities is our customers’ needs for data privacy and security. As a standard part of our business, we have technical solutions and routines in place to ensure that data is kept secure and inaccessible for those who do not have the right to access.